According to the Anxiety and Depression Association of America (2015), 40 million adults, worldwide, suffer from depression and/or anxiety, and approximately 75% of those with one or both of these conditions experience their initial episode during their late teens or early 20s. It is important to understand that most psychological disorders such as depression and anxiety arise between the ages of 18 and 25, although they can also develop before or after this timeframe. This is the exact time when many young adults are entering or completing college. A recent study on depression and anxiety in college students found that approximately 35% of the participants (ages 18-22) admitted experiencing depression and/or anxiety, within the last 12 weeks (Anxiety and Depression Association of America, 2015). Researchers also found that approximately 15% of college students have been diagnosed with a psychological disorder (mental illness) like depression and/or anxiety. 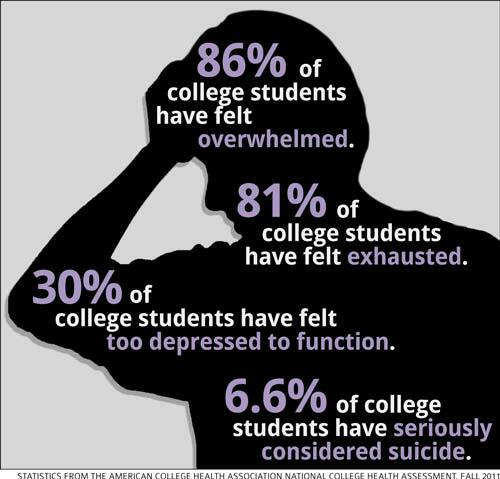 The most common culprit of depression and anxiety during the college years is stress. It is true - college students typically face a significant amount of stress. Some students are determined to make the “best” grades so that they can get into the “best” graduate or medical schools, while others are afraid to disappoint their loved ones, even though they are unsure if college is the “right” fit for them. Yet, some experience stress when trying to “fit in” with the popular students (i.e. sororities, fraternities and cliques). Not to mention the pure stress of transitioning into adulthood - away from the protective eyes of parents. If you are overwhelmed and a little confused, you are not alone. Millions of college students are in the same boat. There is help available – you just have to reach out to it. So, are you a college student, who is suffering from depression and/or anxiety? If so, you have come to the right place. This article will teach you effective coping strategies that will help you better manage your condition(s), so that you can successfully graduate from college and snag your dream job. ***It is important to contact a mental health professional for an evaluation, if you suspect that you, a friend, or love one is suffering from a psychological disorder (i.e. depression and/or anxiety). Also, always follow the treatment plan prescribed to you by your healthcare provider (i.e. physician, psychologist and/or psychiatrist). Are you getting enough sleep, or are you staying up late to party or study? Regardless of the reason, you still need to get an adequate amount of sleep each night. Although it is common to be sleep-deprived in college, when your body does not get the rest it needs to recuperate from the day, the amount of stress on your mind and body increases, and depression and/or anxiety is triggered. So, it is important that you sleep approximately 7 or 8 hours each night. If you need to study, schedule time for it during the afternoons and/or evening hours, and if you want to party, well, save that for the weekends only. The college years are a whirlwind. This is the only time in your life, in which you have a variety of options (from classes to extracurricular activities) to choose from. So, since you have all of these options - why not take advantage of them, and get involved with campus life? Getting involved in activities will not only reduce your stress, it will also banish depression and/or anxiety and increase your happiness. Yes, reach out to friends, family, and/or medical professionals, if you are depressed and/or anxious. An effective way to cope with these conditions is to talk to the people, who love and support you. These individuals are especially important because they can help you think of ways to resolve your problems (stresses). Share your feelings, fears, issues, and thoughts with a supportive network of friends and family. So, when you feel yourself slipping into depression, or becoming anxious and jittery, call or visit a friend or family member. If you do not feel close to anyone, schedule an appointment with the college counselor or private psychologist. Friends, family members, and mental/medical professionals will not judge you; rather they may be able to offer helpful suggestions that will greatly improve your college experience. Are you getting enough exercise? If you spend most of your time in class or on the computer, it may be time to “get moving.” Research indicates that people who adopt a sedentary lifestyle (little-to-no movement) are more likely to experience more health problems, psychological disorders, and a shorter lifespan. It is also important that you improve your diet. Refrain from gorging on junk food, sodas, and pizza (a common “bad” habit of college students), and increase your consumption of healthy fruits, veggies, low-fat dairy products, whole grains, water, and lean meats. Exercising and eating healthy will not only help you better manage your depression and/or anxiety; these activities will also help you improve your academic performance, memory and energy, while in college. Another effective coping strategy for depression and/or anxiety, while in college, is relaxation. I know this may sound “crazy,” but the best way to handle your condition(s) is to relax. In other words, take some time out for yourself – doing the things you like to do. Take a nap, jog around campus, listen to music, watch television or a movie, read a book, look at a magazine, write in a journal, meditate, and/or spend time talking and laughing with your room or suite mates. 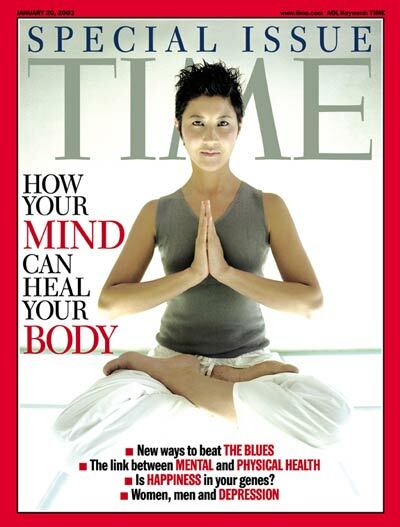 Relaxing will give your mind and body a chance to recuperate. It will also allow you to see things (i.e. issues, problems, situations and events) more clearly. Reduce your stress and depression and/or anxiety symptoms by simply relaxing when you feel overwhelmed.